Marley who has recently been diagnosed with a rare condition called Aplastic Anaemia. 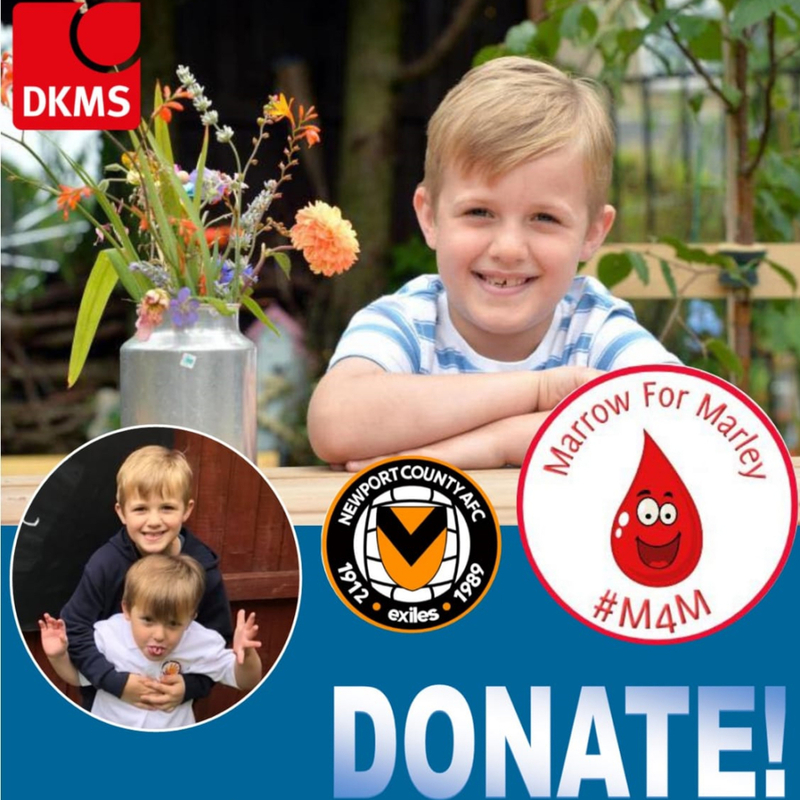 The disease only affects around 30 to 40 children in the UK each year and without a bone marrow transplant the condition will be fatal within a few years. On Saturday 15th September, Newport County AFC and Rodney Parade will be opening the gates early to host swabbing stations for Marrow for Marley, a campaign set up in aid of the six-year old. . The swabbing stations will open from midday and will be located in the Stadium Marquee. This can be accessed by coming through the main Rodney Parade gates which are on the corner of Grafton Road and Beresford Road. The swab stations will remain open until 3pm and will re-open after the game from 5pm-6pm. The process of signing up as a donor will take less than five minutes and the swabbing will take just seconds. That’s just five minutes to find out if you can save a special little boy’s life. Yeovil Town supporters will also be able to donate as a table will be set up in the Stadium’s Away Supporters Bar between 1.30pm-3pm. 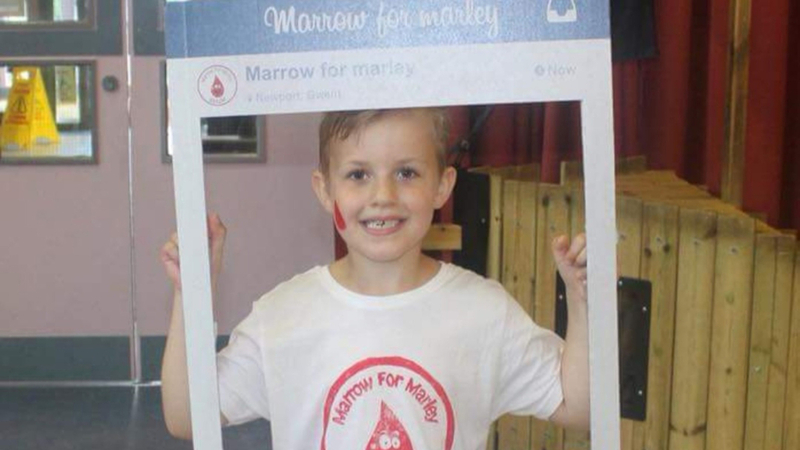 On Saturday, Marrow for Marley will be welcoming anyone aged 17-55 to be tested to see if they are Marley’s match. (Please note that people with certain autoimmune and blood diseases are not able to be donors – information about this can be found online). If you’re coming to the match early to get your swabs done, there will be family-friendly football-based activities taking place on the grass outside the Marquee from 1pm. The use of the grass is weather permitting.